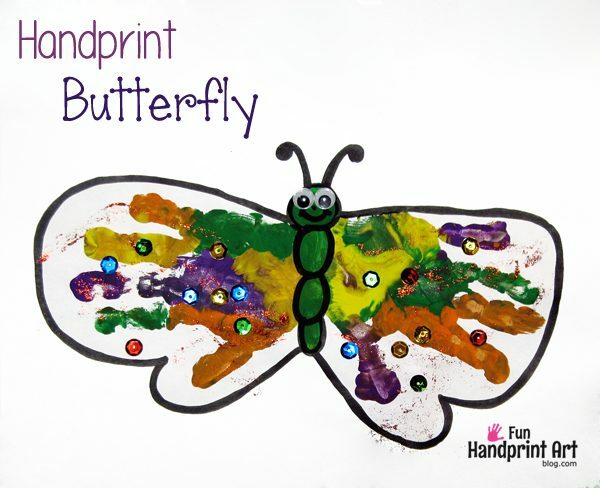 We made this handprint butterfly craft as part of our The Very Hungry Caterpillar theme. I love how colorful it is and my son had fun making it. We made it to represent the end of the very popular Eric Carle book where the hungry caterpillar turns into a beautiful butterfly. My toddler painted his hand all different colors and we made a print on a sheet of construction paper. He painted his other hand and I helped him make a print opposite the first print with just a small gap in between the two. I painted a little caterpillar body with green paint. Another cute idea would be to make green thumbprints. When it dried, he decorated it with sequins and googly eyes. I outlined everything with a black marker and drew on the antennae. Now you have a colorful craft to celebrate Spring! 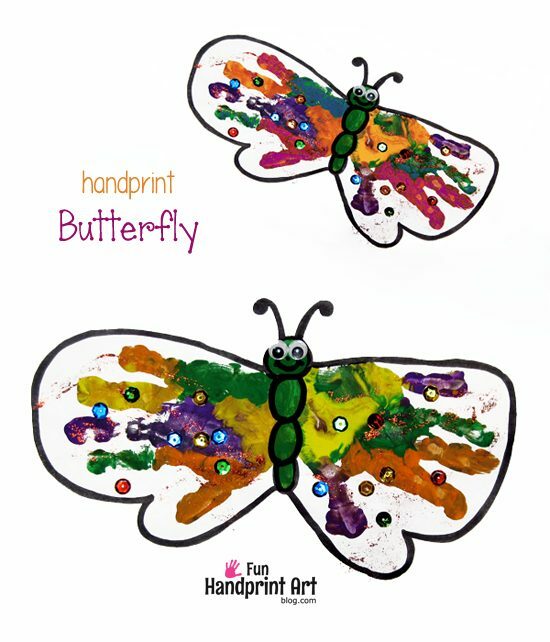 Another idea would be to make a footprint butterfly or this handprint caterpillar.